As the natural beauty industry grows it’s great to see more people become aware of what they’re putting on their skin. That being said, there are some unfortunate beauty myths that have been circulating around online on articles and blogs that I once myself used to believe. It’s important that as we learn about taking care of our bodies that we are receiving accurate information. The internet is full of information about beauty, but not all are based on sound scientific evidence and I want to address some of these myths that I thought were true. Being enrolled now in Formula Botanica is allowing me to learn so much about skincare and to separate true facts from fiction. Myth 1: 60% of everything you put on your skin ends up in your blood stream. This is one of the myths that for years I once believed! I can’t tell you how many times I had come across it on natural/clean beauty blogs and even heard some professionals in the industry share this with clients. It’s certainly an effective scare tactic! The truth is there’s no real way of knowing the exact percentage of your skincare products that end up in your bloodstream at any given time. It can be anywhere between 0-100% and varies on the type of product you’re using, your skin health, delivery system and the climate you’re in. It’s easy to see why people would believe that since some medical topical creams and treatments do end up in the bloodstream, and some essential oils can too, but every product is different in chemical composition so it’s impossible to determine a definitive percentage for all skincare products ending up in your bloodstream. So next time you hear or read this myth, know that there’s no scientific data to back up this blanket claim. In the last few years this has been one of the myths that has been most believed among many women who use both natural and conventional skincare products. There are many preservatives that I personally don’t use in my own skincare because they have been shown to be hormone disrupters or carcinogenic, but I am also aware that there are some products that absolutely MUST contain some form of effective preservative to prevent fungal, bacterial and yeast from growing in the products. An example of this is with water based products. If they are water based and say ‘Preservative Free’ be wary of that product’s safety and read the ingredients as any water based product must contain some preservative to ensure no mold or yeast growth will occur. The last thing you want is to come into contact with a product that is filled with bacteria! It is important that you are kept safe from infections and severe health complications that can arise from coming into contact with an improperly preserved product. There are many effective natural preservatives that are coming into the market that are used in natural skincare and are also safe for people to use of all ages without potential side effects. This myth is also another one that comes up very often and is marketed all over the place to sell natural based products. The truth is that everything is a chemical! The very air you breathe is a chemical and all the food you eat is made up of chemicals. The reason why this has been shared in the mainstream media is because it’s a very effective way of selling products to the public who may not be aware of the fact that ALL products contain chemicals of all kinds. When people are wanting to switch to more natural products it’s mostly because they want to avoid using sythetic chemicals in their self care products that have been shown to be harmful to your health. There are beautiful products that are effective at addressing skincare needs without using as many sythetics or are a combination of both natural and synthetic ingredients, but it will and can never be chemical free. The best way to choose the right products for yourself is to be informed and seek advice from a professional in the industry that can address your concerns and questions regarding your personal beauty products. Don’t believe the hype all the time because unless you’re getting your facts it’s from a verified and credible source of information, it may very well be just another myth. I have tried several natural sunscreens in the past seeking something that would effectively protect my skin against the harmful UVA/UVB rays, that was also eco friendly. The two things I found in many other formulas was that they were too sticky when being applied and left a very pasty and chalky residue. I had heard great reviews about All Good Sunscreen from other green beauty bloggers so I looked it up and gave it a go! 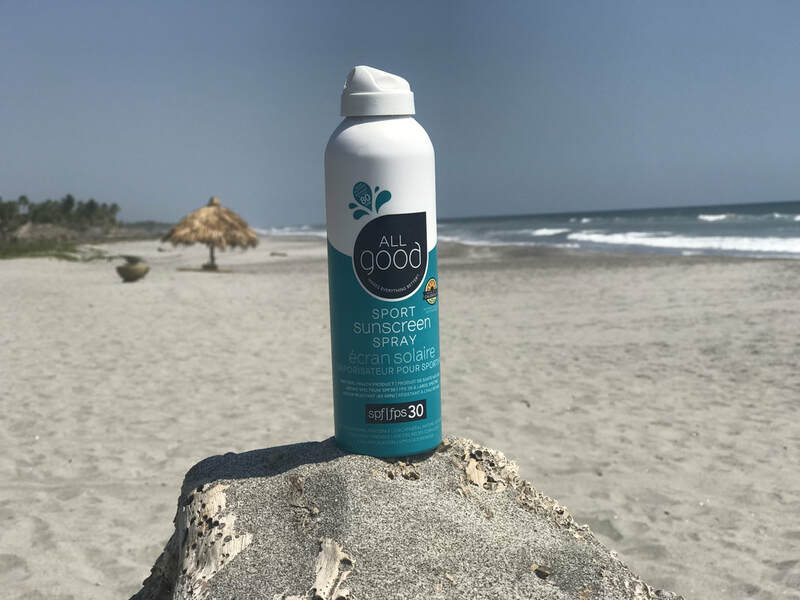 I chose the SPF 30 Sport Sunscreen Spray formula for its easy application and long 80 minute water resistant factor being that we would be at the beach a lot while away. This product is not sticky at all! I found it extremely easy to apply with its continuous spray for my entire family. It is a mineral based sunscreen using 12% zinc oxide that is non nano particulate. When I sprayed it on it spread easily and smoothly and I did not feel or look chalky whatsoever. This formula is quite moisturizing and contains a great combination on antioxidants as well. The sun in El Salvador is quite strong with 32C+ temperatures and this product protected my whole family very well the entire time. You do need to reapply when you come out of the water or have been sweating, but I can say that it did a great job of protecting us from sunburn. All Good Brand is bio degradable and coral reef freindly which is fantastic to know that it is not causing any harm to the environment. This brand is a Certified B Corp meaning that they use sustainable methods of manufacturing, are safe for the envirmonemt and have exceptional standards in ingredient selection and overall work environment. You can look more information up here. They have a large assortment of different sunscreen products varying in size and textures including lotions, sprays, butters and lip protection which I think I will try more of because they are also quite affordable ranging from $10-22. I highly recommend this brand and it will definitely be in my spring and summer kit from now on! can be minimized, and your skin is the main focus. hack that can improve the condition and look of your skin:Mixing a facial oil with your foundation! antioxidants and nourishing ingredients. It's the quintessence of skincare with colour! facial oil will improve your skin as well. You can use any natural oil such as jojoba or almond, but my favourite facial oil to use for this trick is the Okoko Cosmetiques Les 16 Precieux. 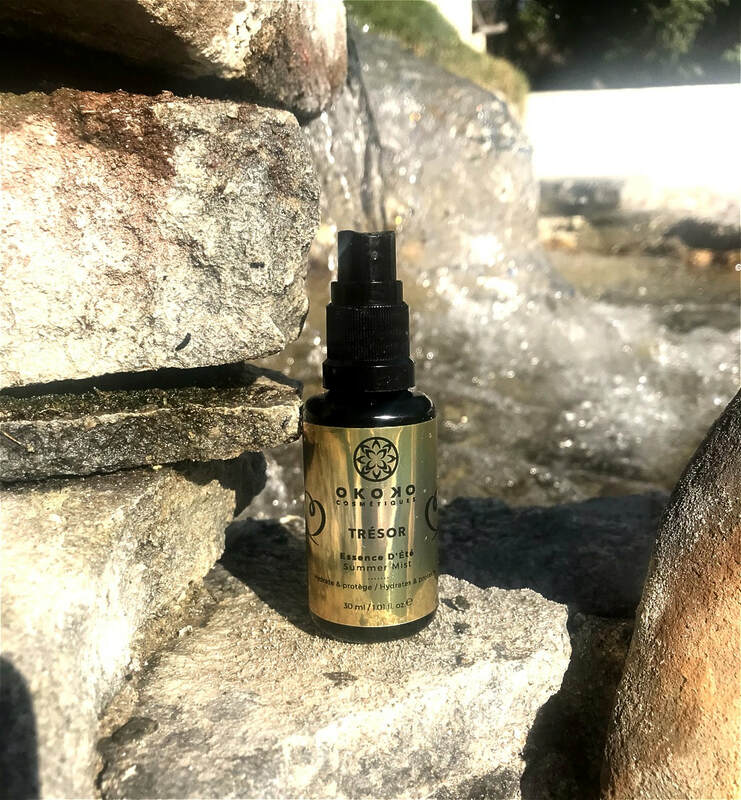 This all natural luxe facial oil contains 16 of the world's most sought after beauty ingredients such as CoQ10, Marula, Argan and Prickly Pear Seed Oil. Used on its own it provides instant hydration without leaving an oily residue and is great for all skin types including sensitive skin. It is a decadent and effective pro aging skin treatment that I highly recommend. I use this for both my morning and evening skincare routines. After cleansing and toning, I apply and pat in 2-3 drops of the oil to my skin and let it absorb for 5 minutes before applying my foundation. Using a foundation that also provides nutrients and nourishing ingredients is very important. Most conventional foundations will provide sufficient coverage but are also filled with harsh ingredients and fillers that can clog pores and aren't protecting or treating your skin. If you wear makeup, you want it to add health benefits to your skin as well as provide coverage for long term healthy skin. I personally love to use Fitglow Vita Active Foundation. ​This creamy foundation cares for your skin with skin nourishing organic ingredients such as hyaluronic acid, Vitamin C and Beta Carotene. that provides hydration and beautiful coverage all day while reducing the look of fine lines. It blends effortlessly, allows your skin to breath and does not feel like you are wearing makeup at all! 1. Cleanse and apply your facial oil or moisturizer to your skin and let it absorb for 5-10 minutes before applying makeup. 3. Take your facial oil and apply 1-2 drops right on top of the foundation and mix with your fingers or a foundation brush. For lighter coverage use fingers for fuller coverage use an foundation brush. Once you've tried this beauty hack that several makeup artists use to achieve glowing skin you will see how much your skin improves and exudes natural radiance! You can find more info on these products and brands under the SHOP tab in the blog. Many people know that flax seeds have many health benefits when they are eaten, but you could also make awesome hair styling gel with them too! When my son was born I was looking for a natural hair product to use for him that was gentle yet effective and wouldn't leave a sticky residue. I couldn't really find anything light enough that would still hold so I started to look for DIY alternatives and came across a home made recipe that was intended to define curly and frizzy hair like mine. I was really excited and was so happy with the results for both my son and I. So if you have frizzy, curly, wavy hair and are looking for luscious curls with definition and shine this Flax Seed Gel is the best alternative to expensive store bought gels. It is completely natural and free of chemicals like alcohol that can dry your hair out. It is very easy to make, affordable and will go a long way. My curls are always soft and touchable which is important and I can also use it to smooth out my hair when I put it into a bun and blowdry on special occasions. Here is what you'll need to make your own flax seed gel. 6. Turn the heat down to medium/low and continue to let them boil for approximately 8-12 minutes. 13. Pour the fluid into your preferred storage container. I chose a plastic bottle with a pump as seen in the video and photo below for an easier and less messy way to obtain the gel when you want to style your hair. 14. Store your container and refrigerate for anywhere between 1-2 weeks. 1. Add 1/2 tsp. of warmed up shea butter and mix into warm gel when cooling down for deep conditioning & smoothing course hair texture. Smooths and helps seal split ends. 4. Combine 2 drops of lavender, tea tree and rosemary to promote hair growth, circulation and deep cleansing to the scalp. It also adds a wonderful custom smell. Watch my Youtube tutorial below! I'm so excited to share my positive review of having the newest lash treatment KERATIN LASH LIFT. Since having an awful experience with lash extensions a few years back I swore I'd never go back to that option because of the toxic ingredients and the fall out I had. I've only used lash strips for extra special occasions as my skin is quite sensitive around my eyes. I've been using great mascara's since then and have tried using lash enhancing serums as well and they did help quite a bit but I still needed to use mascara to balance out my bigger eye shape. I was looking for something that would allow for me to be able to just walk out of my home with minimal makeup and have bright eyes. I didn't think I had many options until I came across an article raving about the celebrity favourite treatment called Keratin Lash Lift. 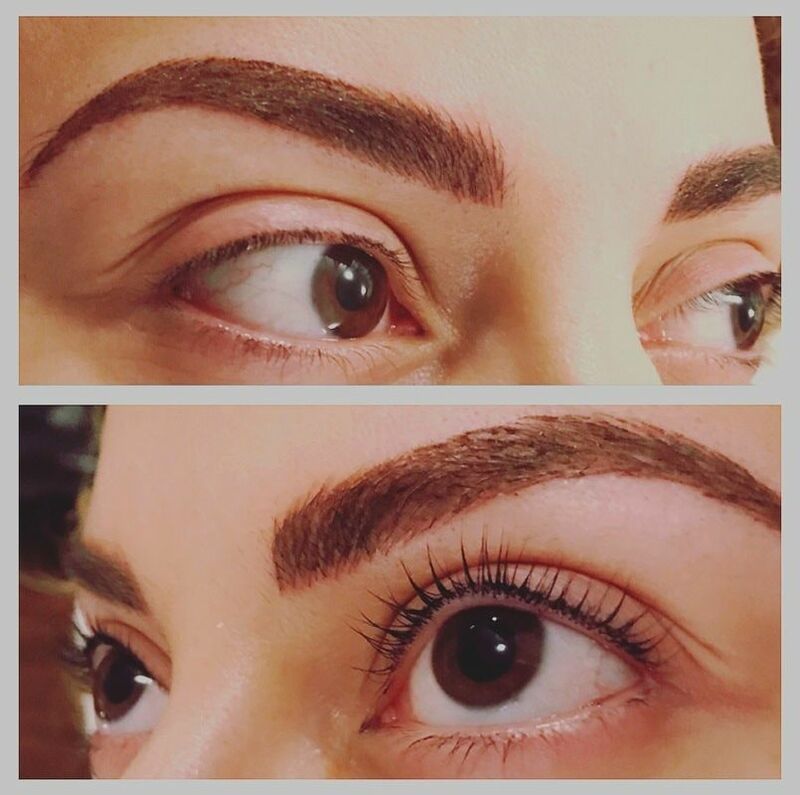 The before and after pictures looked incredible and the best part was that the treatment enhanced your natural lash length and fullness without any damaging perm solutions used in lash perms and no artificial hair is glued on like with lash extensions. I thought could this be true? I continued to research this treatment and from I could tell it looked like it was more of a strengthening treatment without any damage to the follicle or hair and the results lasted up to 3 months. I booked an appointment with Vancouver certified Keratin Lash Technician at Fawns & Fellows with Rebecca Starr and am very glad I did. I have now had two treatments done and am very pleased with the results. I am now able to use less mascara and have fuller looking lashes. This is one of my favourite appointments because you could potentially even have a nap if you wanted since the whole procedure is done lying down with your eyes completely closed. It is a very relaxing experience and between the first and second appointment it was about two and a half months. There was no massive lash fall out, my lashes just slowly just went back to their original form which is less curled. After 24 hours you are able to go back to your normal routine and do not have to avoid swimming or exercise. Your life goes on just as usual which is a huge difference compared to the lash extension commitment which can really be a lot to maintain. Be aware of fake Keratin Lash Lift services. There are places that are still using regular lash perm solution and just advertising as Keratin Lash Lift treatment. They are VERY different and the true Keratin Lash Lift will strengthen your lashes and have no negative side effects to your lashes or follicles. 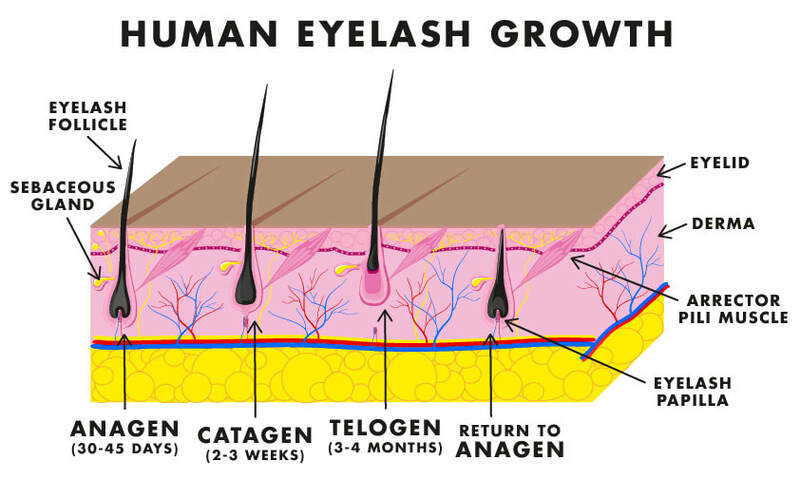 Do your research and ensure it is a legit Keratin Lash Technician. As you can see in the before and after pictures above of my own lashes, the results are immediate. The appointment is about 1-1.5 hrs depending on lash type. Like any treatment there are before and after steps that you have to abide by to ensure the best results and they are not hard to follow. Once you book an appointment online you will receive a confirmation email and all the guidelines are directly on her website. If your are booking an appointment DO NOT wear any eye makeup as this eats up a lot of time to remove to ensure the treatment works. Over all I am very happy with the results and service Rebecca provides at Fawns & Fellows in Downtown Vancouver. She is very friendly, knowledgeable and gives great tips to maintain the results for as long as possible. This is a service that I recommend to any woman seeking longer fuller lashes with their OWN natural lashes as an alternative to lash strips and extensions. You can follow Fawn's & Fellows on Instagram at @fawnsandfellows to see countless amazing before and after photos and her website is www.fawnsandfellows.com. 2. Clean, bare lashes are sculpted up onto silicone forms. The level of lift is chosen based on the client’s lash length and desired lift for their lash type. 3. A lifting lotion is applied to the lashes, during which time you relax with a warm dark towel covering your eye area. 4. After removal of the initial product, a fixing lotion is applied to the lashes to help maintain the curl and lift of the lashes. It also strengthens and conditions the lashes. 5. 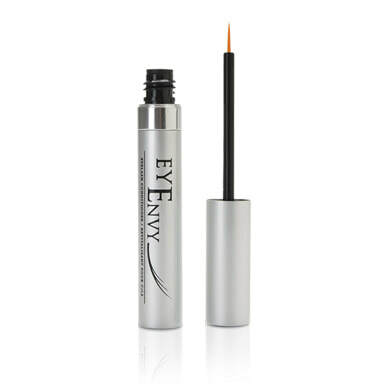 After removal of the second product, a pigment infusion tint is applied to the lashes to increase volume and amplify length. 6. Once the pigment infusion tint is removed, a nourishing serum oil is applied to the lashes and eye area to moisturize and aid with removal of any residual product. 7. Finally a coat of crystal clear Yumi keratin treatment mascara is applied to gloss and nourish the lashes further. As all mascara is drying (especially the waterproof kind) this adds essential moisture and protein back into the lashes, whether worn under your regular mascara or as a stand-alone treatment - day or night. A simple way to think about NOT treating your lashes is like washing your face or hair, and not applying moisturizer or conditioner - ever. 8. Music, audio books and a blanket are provided at Fawn & Fellows… Or you can bring your own iPod. The whole treatment, from initial arrival to departure takes anywhere from an hour to an hour and a half (depending on lash length, density and coarseness). 9. The keratin protein in the serum mascara both strengthens and repairs the lashes, helping to give the hair structure and aids the lashes in growing stronger and fuller with increased lash retention. It's no secret that I am such a huge fan of Okoko Cosmetiques. The line truly is exquisite and it only gets better and better! This weekend I had the pleasure of collaborating with Oyeta the founder and had the chance to try the beautiful Limited Edition Tresor Smoothing Body Scrub & Shimmering Body Oil. This duo was launched for a very short period of time and I consider myself very fortunate to have had the opportunity to try them out. From the moment you open the container of the scrub your senses are completely enveloped by a beautiful scent that is both sensual and feminine. It is a decadent rose coloured cream scrub that is just gorgeous! I placed my nose right up to it and allowed myself to really breathe in the wonderful aroma. The scent really is unique and is not overwhelming. I applied a small amount from the on various areas of my body as indicated on dry skin before my shower. A little does go a long way and the nice little bamboo spoon provided gives you the perfect amount to apply. I used a slightly damp washcloth to spread it over my entire body and massaged it from my neck all the way down to my toes. The granules are all natural walnut shells which feel invigorating and aren't overly abrasive. This is ideal for exfoliating dead cells and smoothing rough patches of skin. The texture became like a rich milky scrub as the base is black soap which is very nourishing. I also noticed that it helped to stimulate circulation because I felt my skin become slightly warm. Stimulating circulation is so important to regenerate new cells and help with detoxification and oxygenation. I did leave it on for about 5 minutes total while I was massaging so that the ingredients could really soak in. When I was rinsing it off in the shower I could instantly feel how supple and smooth my skin felt. Tresor adds a lot of moisture and antioxidants with precious oils such as argan oil which is highly hydrating and repairing with high levels of Vitamin E. When I got out of the shower, which by the way felt like a spa because of the lovely aromatherapy Tresor delivers, I applied the Gold Shimmering Oil to my body. It has the same scent which I'm so happy about because it feels like a really beautiful perfume oil for my body. It absorbed into my skin very quickly and left a very subtle glow to my skin which I adore. My skin feels soft, smooth and very silky after this treatment. I think I will be using this oil for special occasions because it's so lovely and I know it is only a limited edition. I am so happy to have it for Valentine's week! Overall Okoko Cosmetiques has proven to me once again that you truly can experience luxurious and decadent spa treatments at home using the world's finest ingredients to indulge your skin and body in.